We're big news! See where we're mentioned or get some expert advice and information from our extraordinary team of stylists. Like our gal Carry Bradshaw once said, “In New York, you’re always looking for a job, a boyfriend or an apartment.” So, really, nobody has time to look for things like a new doctor or a place to get a blowout. So we’ve rounded up a list of the latter for any neighborhood you find yourself in. We know, it’s not Drybar, but rest assured these spots have raving reviews. 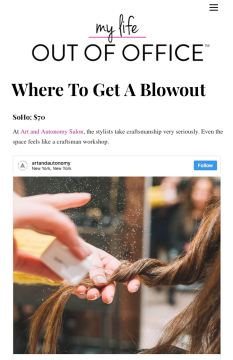 Just graduating beauty school a year ago and apprenticing at Art + Autonomy Salon in Soho means I've had to be a jack of all trades while I learn my craft. A key focus for me is creating my personal brand by doing good work, connecting with clients, and building my orifepssional digital footprint. Here's what I learned about content, Instagram, and building a personal brand during my first year. Clients with thin hair are constantly looking for hairstyles to help their hair appear thicker. 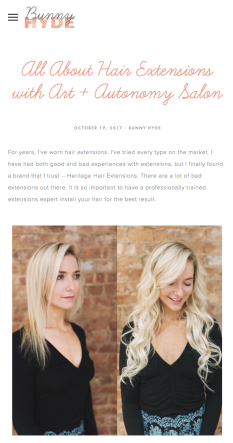 With a few standard hair rules and cutting techniques, your thin hair can be on it’s way to voluminous styles in no time. The right products and styling methods are also great tools to help your hair look fuller. Enjoy these perfect hairstyles for thin hair that show off every single strand ya got! If you have long tresses check out the long hairstyles for thin hair page with 20+ amazing ideas. The Tonight Show’s Jimmy Fallon started growing a beard on Memorial Day. When he was ready to shave it off but keep his ‘stache, Brooklyn barber Russell Cordeiro, of Art + Autonomy Salon in Manhattan and Persons of Interest Barbershop in Brooklyn, was brought in to perform some grooming goodness. 3 GOLDEN GLOBES' HAIRSTYLES YOU CAN STEAL FOR YOUR EVERYDAY LIFE: Easy ways to pull off red-carpet worthy hair. HOW SHOULD BALDING MEN STYLE THEIR HAIR? SOME CUTS ARE BETTER THAN OTHERS. 1. Get the right cut. Obviously, it's important to keep where you're losing your hair in mind. 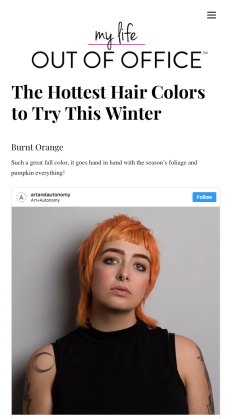 "When losing hair in the front, depending on the severity of the hairline's recession, you can use the hair on top to create a new hairline or partially cover up extreme recessions," says Russell Cordeiro, a stylist at Art + Autonomy Salon in New York City. He adds that this technique should be used in a "sparing manner," as growing hair long to cover a problem area can actually draw attention to gaps or thinness.